You are here: Home / Entrepreneurship / Why Google Dominates the Internet World & How You Can Too? I will share with you what according to me is the main reason for Google’s dominance on internet and applying the same information we can also become dominant player on the internet. Google dominates the Internet World because Google addresses a very common problem. Take the days when search engine was not in the market. In those days the only reason to come online was to find information on internet and People had problems finding the right information. Google addressed that problem in a very efficient manner. Now why Bing is not able to dominate the search? The answer is simple. As an internet user I don’t see a compelling reason to move out of Google for searching anything. Like Bing lacks to Google, Google also lacks in many areas and one of the most talked about is social networking. 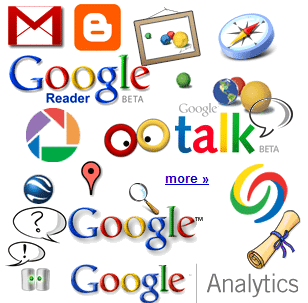 Google tried with lot of products like Google Wave / Google Buzz / Google Me (coming soon) and according to me none of them made the kind of mark they should have been because it never tried to address any problem but always wanted to capture the market share like Bing. Let us take few other examples from Google. YouTube – Internet was a medium of information but soon it started to become a place for entertainment. Wallpapers and pictures did not had the potential to take entertainment on internet to the next level and so YouTube became the right product acquired by Google to address the problem every entertainment seeker had on internet. It is not that only Google addresses the common problems and there are many others including Facebook, twitter, WordPress, Amazon … and the list can go on forever but then why we are talking about Google today? The answer is Google addressed more than one problem and so you cannot term this as lucky or being there and they definitely have the thinking process behind it. The thinking to address a common problem. Now how you can use the same to your advantage. Try to work on something that addresses a problem. Remember it need not be a very common problem and can be a very simple problem specific to a very small niche or category of people. As always let me share with you a very practical example. It is one of those few finance blog for Indian market where there is no stock tips shared for making instant profit. By stock tips I mean things like buy XYZ now or today. In fact I share how you can find for yourself those XYZ stocks. I try to address the problem of an Indian investor who get stock tips from various sources and wants to validate if the information provided to him is good one or not. I know there is lot of information available on internet on freelancing or how to be a freelancer and online entrepreneurship but none of them is addressed towards helping programmers and developers and provide them answer to their common problems. Finally need to ask this question – What problem you are addressing?